Puertorriqueňo youth got together and formed the Golden Diablos (the Devils). Puerto Ricans from all around the Mission participated in the car gang. However, most of them centered north of 16th St, on Woodward, Capp, Minna, Natoma, and Treat Sts. 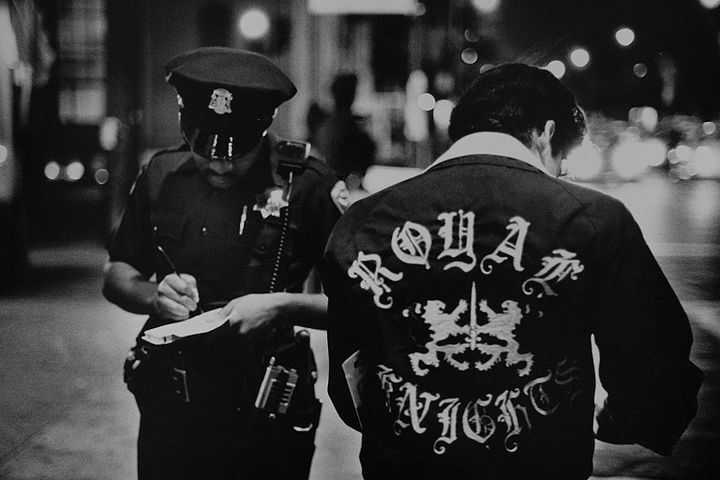 Members were Johnny Rodriquez, who worked at the Giants’ Dugout for years, his brother George and his sister Margarita, Edgar, Luis, Titi, Black Julio Pool from 24th (he shot a cop when Los 7 defense campaign was happening and is still in prison). He was one of Johnny’s best friends. Rocky, Arcelio, who was part of the Malibus musical combo. They played their music all around the Mission. Mary and Evelyn with their brother who was really into cars they were from the Army St. Projects. Other associations cropped up around the Mission; 24th and Hampshire black Ray comes to mind from there, 22nd [@ Florida], the turf of this group was all around Alabama and Bryant Sts., 22nd St. [@ Dolores] Boys, these guys hung around the schoolyard on 22nd and Dolores at the old Edison School. The only fellow I recall was Alberto “El Chompipe” (the Turkey). S. Kline accused him as one of the fellows from this group of having snuck into her flat across the street from Edison that while she was in the shower and having abused her. At the time our political group discussed but didn’t agree on taking vigilante action. 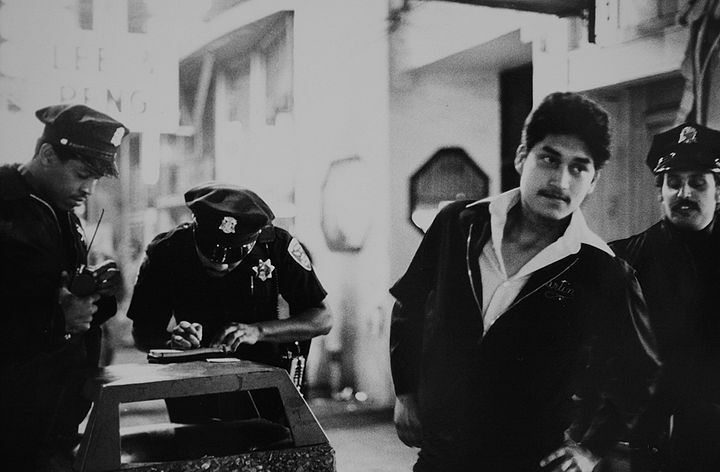 Routine police harassment on Mission Street, 1970s. 1961 film made by David Myers for the American Friends Service Committee documenting the amazing array of "jacket clubs," or what would probably be called gangs these days, and how their Youth For Service program gave a couple of dozen of these groups a chance to come together and do useful projects in San Francisco, Alviso, and Laytonville on the Pomo Indian reservation. A Look Back at the Tiny Locas, 2-4 Mission Home Girls a group of friends, all female, who hung out with each other c. 1980-86.